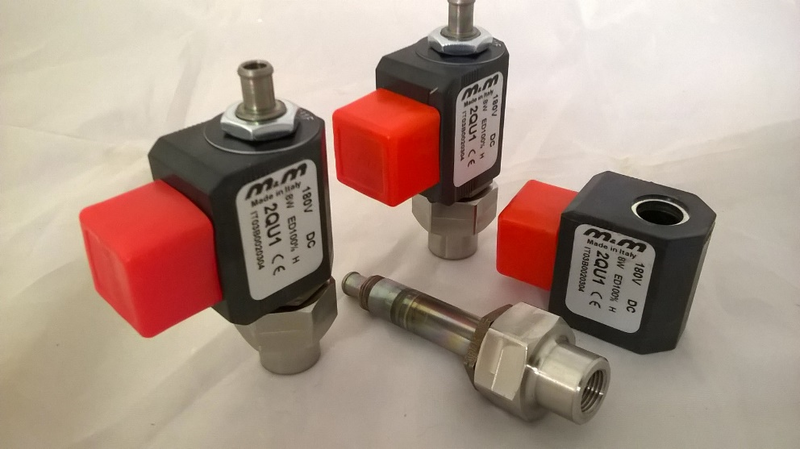 M&M International has many years experience designing, developing and producing bespoke solenoid valve assemblies to meet the specific requirements for our customer’s projects. 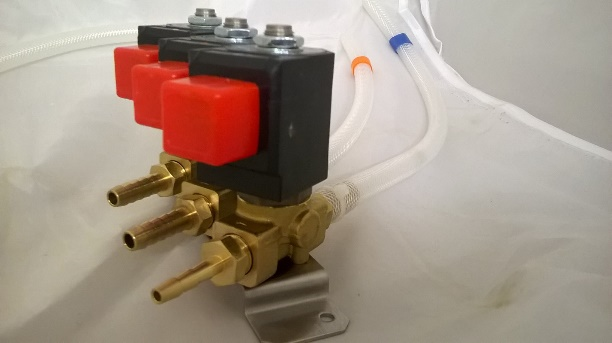 Working closely with OEM customers we have designed and supplied bespoke solutions for medical sterilisation autoclaves, coffee machines, drinks vending machines and aerospace galley equipment and other industrial sectors. 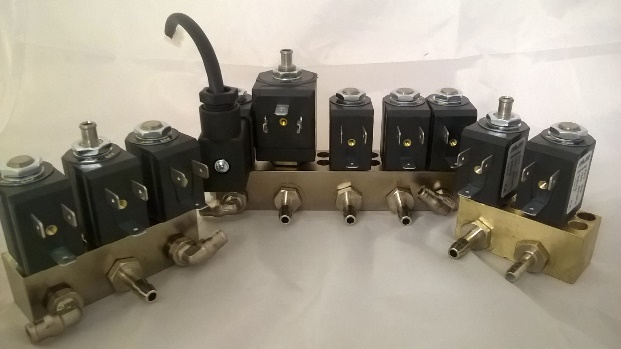 Shown above are examples of bespoke valve assemblies currently in production. 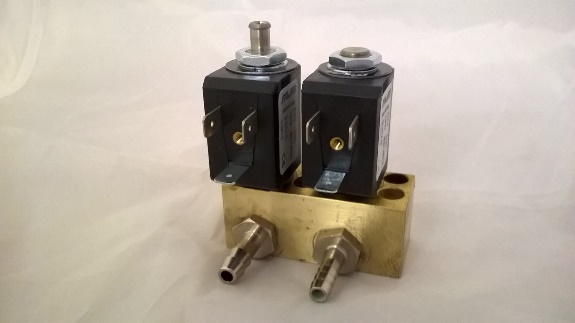 M&M International (UK) Ltd have been producing solenoid valve assemblies for medical sterilisation for over ten years. Through the progression of technology and development of the customer's product, our engineers have assisted in the design and development of new assemblies. The assembly team build the valves to detailed instructions and drawings to ensure the finished product meets our customer’s specifications. All products are inspected, tested and securely packaged ready for despatch. 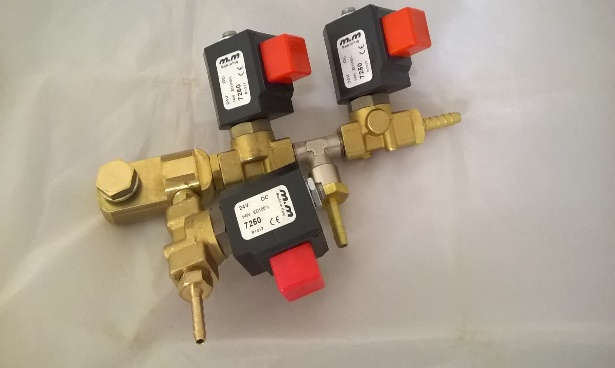 The valves are designed for simple installation into the autoclave when they arrive at our customer’s production line. The most recent models are colour coded to aid our customer’s production team in fitting the assemblies. 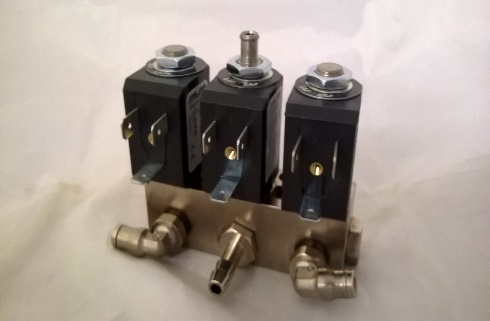 A manufacturer of coffee vending machines contacted us for advice on how to resolve an issue they were experiencing with the solenoid valve assemblies used in their product. Due to the prolonged exposure to high temperature the valves were subjected to, the rubber o-rings and seals were swelling causing the valves to perform unsatisfactorily. We suggested the use of peroxide cured EPDM o-rings and armature seals which provide a much greater tolerance to prolonged higher temperatures. As well as providing the improved o-rings and seals we were also able to refurbish and upgrade our customer’s existing assemblies. This involved completely dismantling and cleaning the assemblies and then re-building the assembly with the new components fitted. After building, the valve assemblies were fully tested. 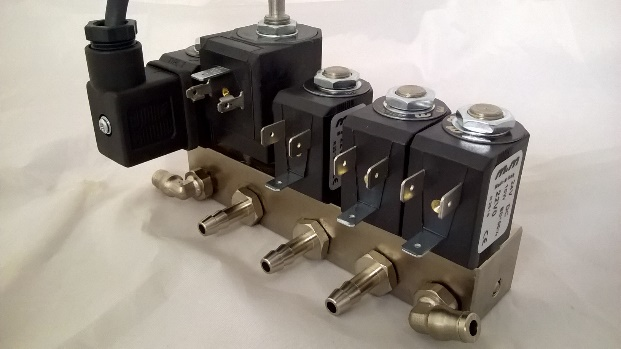 The assemblies consist of 2-way, 3-way or 5-way manifold blocks fitted with the peroxide cured EPDM armatures and 24V DC coils. The ports are fitted with 1/8” hose pipe and 1/8” swivel elbow pipe fittings in various configurations. The valves shown above were developed for a manufacturer of galley equipment for the aerospace industry. They required a valve that was highly resistant to limescale and corrosion. Consulting with our manufacturer we were able to offer an armature tube assembly that is produced using a nanotechnology process that protects the tube and armature against the effects of calcium carbonate contained in hard water. This is a dry process that does not require solvents or chemical agents that could contaminate the valve. The 316 stainless steel valve body was specially designed and produced for this customer. 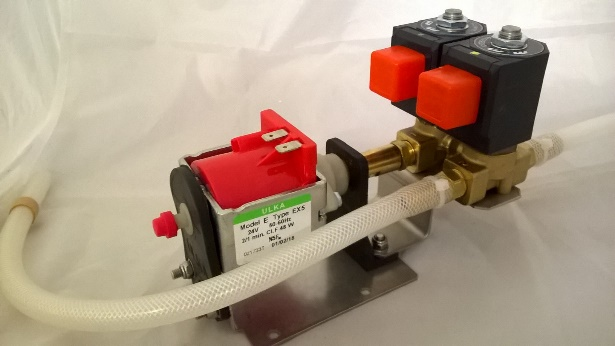 The valve assembly is constructed in our production department and fitted with a 180V DC class H coil. They are then fully inspected and tested before despatch to our customer. 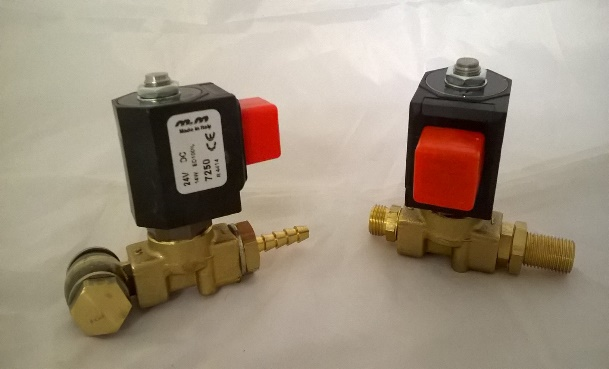 You can view our full range of Solenoid Valves here.